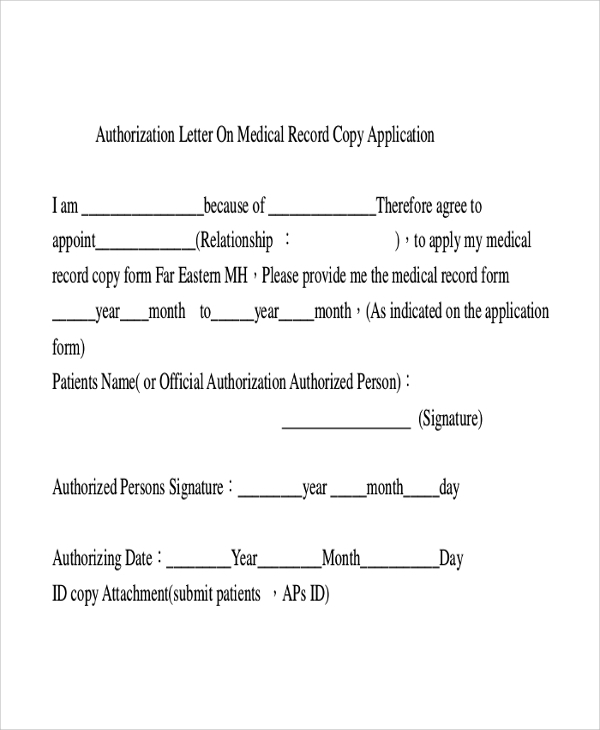 Medical authorization letters are very useful in case of medical emergency situations. There are different categories of medical authorization letters such as medical authorization letters for release of medication information of an employee, medical authorization letter for a person to take decision and give consent to the doctor on behalf of the parents, letter authorization request and Appeal Letters to the insurance company to cover a particular treatment under their present health plan, as well as medical authorization letter for someone’s release and requesting company to accept medical leave. Such letters are a must for medical organization, clinics, nursing homes, hospitals and even companies and individuals. 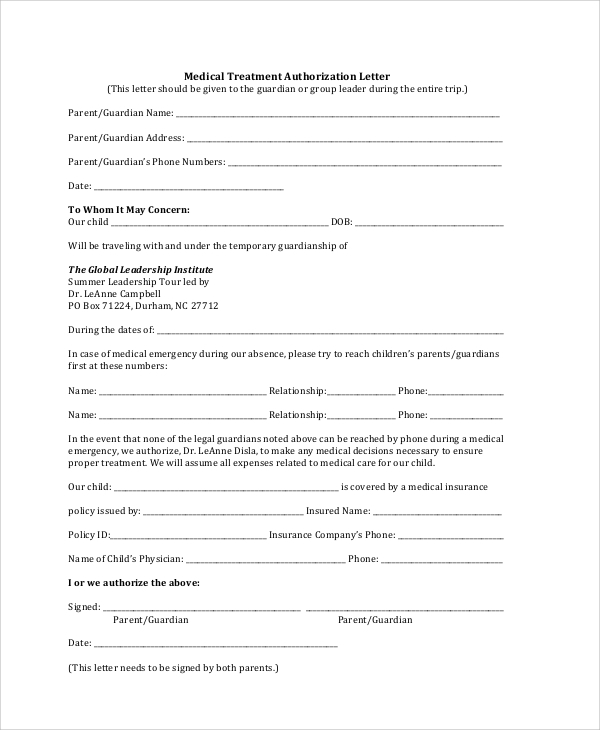 A medical treatment authorization letter is a legal document which parents sign to allow any guardian to take any decision related to a medical emergency in their absence. It could be that their child has gone to some place with someone else and that someone else must have the permission to give consent to the doctor for necessary medical treatment in case of emergency. Such letters clearly declare the statement of such kind along with the details of the person such as his relationship with the child, insurance company’s name, and details about who will cover the medical expenses. 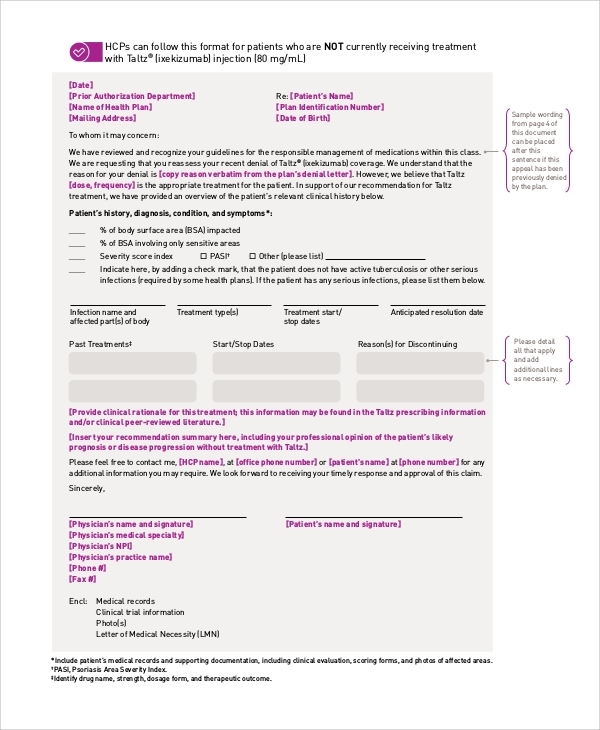 A medical release authorization letter fulfills two purposes. The first purpose is to give the permission to release the medical information about a person especially an employee of a company during a medical emergency. Such medical records are held by the company and only under request or permission from an authority figure, such information is given to the representative. This sort of letter acts as the legal document for the process to get initiated. A medical authorization appeal letter is generally sent from the hospital authority to the insurance company to request them to cover the medical expenses which they do not have in the list of prescribed coverage in a particular health plan. Such letter states clearly the reason why medical coverage for such medication and treatment is important and gives all the evidence about the disease, the treatment, and medication that may be required. A medical authorization letter is of immense importance during an emergency condition. 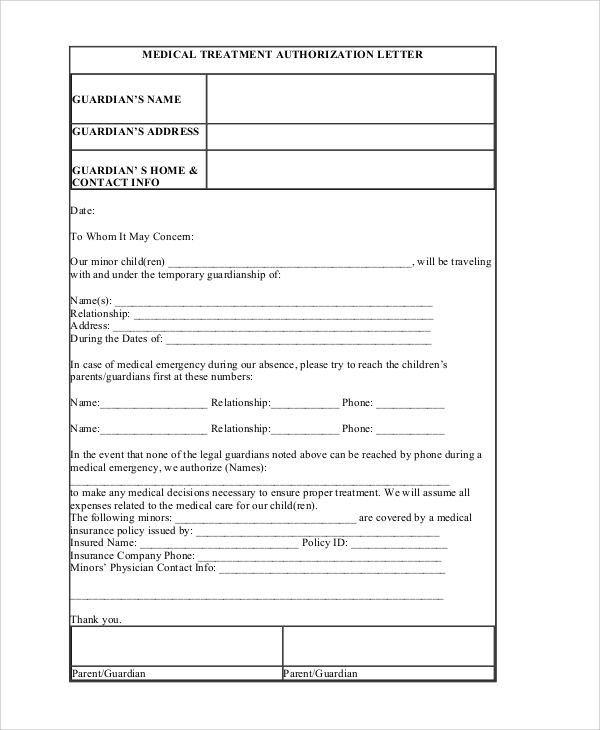 If the parents are not present for a minor child, the guardian or the person present with the child can show the authorization letter from the parent to give consent to the doctors to carry on with the medical operation. Such letters are important to seek the medical information from a company under which the employee works. It is also important for an employee to take medical leave. Any medical health organization can request and appeal to any insurance company to cover certain medical procedures under their current health plans. 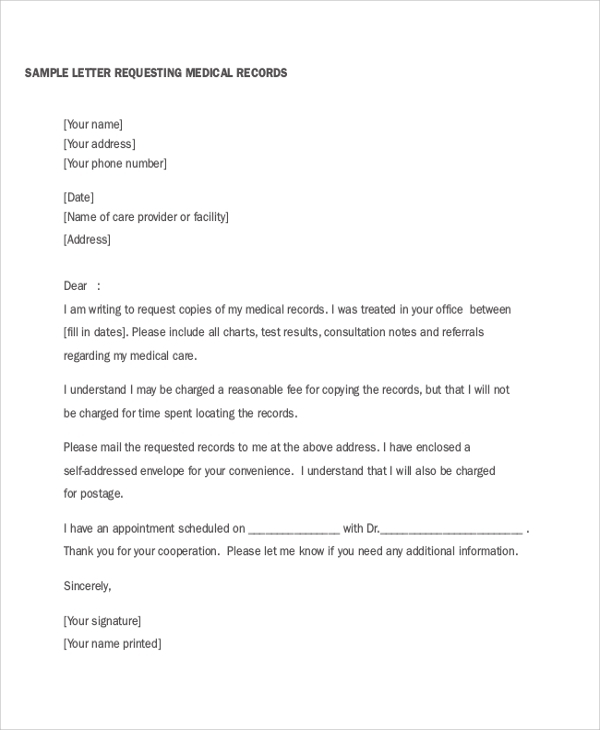 The targeted audiences for a Medical Authorization Letter vary depending on the intent of such letter. It can be sent to a company to release the medical background and information of an employee in an emergency situation. An employee can show such letters to the higher authorities to seek medical leave. 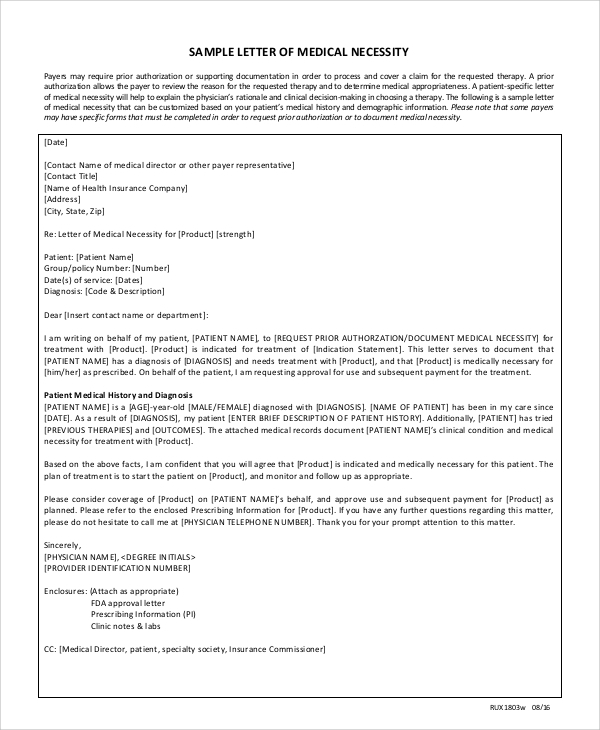 Medical organizations can write such letters to request and appeal insurance companies to include certain medical procedures under their health plans. Such medical authorization letters are legal documents based on which action can be taken. When any guardian provides a medical authorization letter from the parent of the minor child, he is entitled to give consent to any medical procedure which he thinks is fit for the child. Any employee can take paid medical leave based on the recommendation and authorization letter from the hospital or the doctors. A company can release any medical background information of an employee based on such legal letters. The above-listed medical Authorization Letter Samples are in ready-made mode and only a few details have to be entered before dispatching them to the targeted person. They are written in a professional tone and they act as a legal document and contain all the details of the patient and his conditions and medications to justify the intent of such letters.